I was talking with a former pastor's wife at church last Sunday. She thanked me for my sermon on introverts and Christian participation, and confessed how difficult it had been for her, as a strong introvert, to be a pastor's wife. I heard myself say this to her: "I think it is even more difficult for an introvert to be a pastor's wife than it is for an introvert to be a pastor." I've devoted much time and thought to life as an introverted pastor, but I haven't thought much about the life of an introverted pastor's wife. (Note: I'm in the PCUSA, which has been ordaining women for over 100 years, but the majority of pastors are still men. Plus, the community's expectations for the husbands of pastors are pretty different). The assumed role of the pastor's wife no doubt depends on the church you are a part of, and its cultural expectations in general for women, but it seems that the "traditional" understanding of a pastor's wife is hard to shake, even when the church is progressive in general about gender roles. For Jan, "pastor's wife" was not just being married to a pastor; it was far more vocational than that, a way of life. It meant participation in an intricate web of hospitality, living at the intersection of human need and God's grace, inhabiting a community where men and women who didn't fit were welcomed, where neglected children were noticed, where the stories of Jesus were told, and people who had no stories found that they did have stories, stories that were part of the Jesus story. Being a pastor's wife would place her strategically yet unobtrusively at a heavily trafficked intersection between heaven and earth. 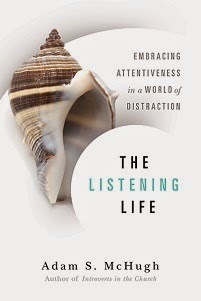 It's a beautiful picture, but I wonder how an introverted pastor's wife hears that description. Does that sound overwhelming, like it would actually be a drain on joy, peace, and love? The traditional role pivots around hospitality; often pastor's wives are expected (explicitly or implicitly) to have an open-home policy, to lead women's ministries, to be involved in children's ministry, to be the head hostess of the congregation. It's a big weight to carry for anyone, but especially for an introvert who finds such social interaction draining and often undesirable. 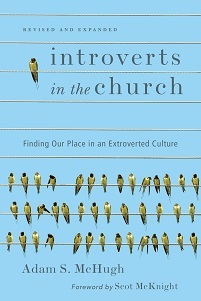 If you are an introverted pastor's wife (or husband), what are your thoughts? How do you conceive of your role? What are the expectations that you face? Is there room for flexibility in the role?